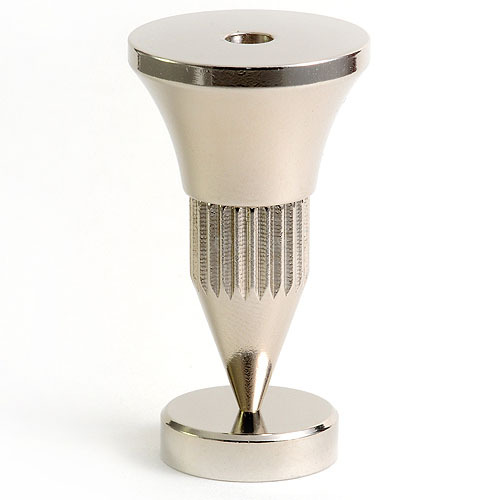 Stylish nickel plated isolating and damping spikes suitable for various audio, video and hi-fi devices such as loudspeakers, turntables, CD players, Blu-ray players, amplifiers and pre-amplifiers. 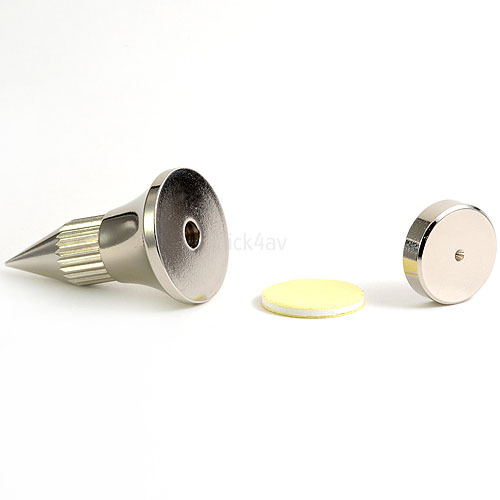 This quality isolation cone is an adjustable foot with spike shoe to level and isolate high quality audio equipment. 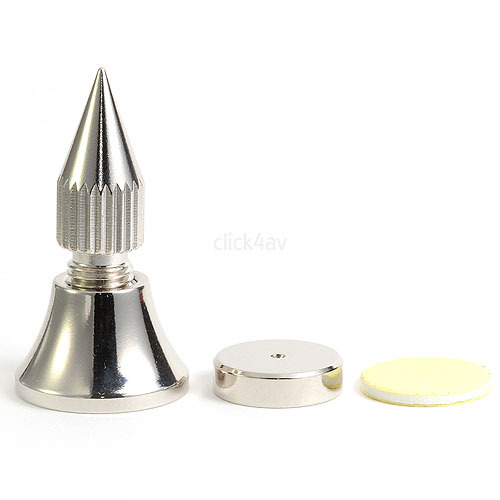 The supplied double-sided adhesive soft foam pad can be applied to either the cone or spike shoe as required. The upper part of the foot can also be screwed to a speaker cabinet through the hole in the top using a 3mm diameter screw (not supplied). You could also attach the foot using small pieces of Blu-tac.